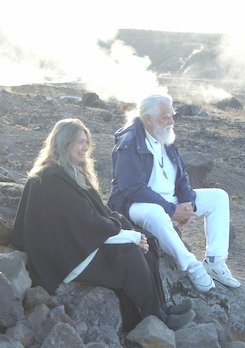 Lois and Earl Stokes are artists of the spirit who live in Volcano on the Big Island of Hawai'i. They specialize in creating art as a moving meditation. Drawing upon their experience with the Hawaiian healing arts, shamanism and the philosophy found on the islands called Huna, they approach art as a healing and spiritual practice. Their Whispers of Aloha can be heard around the world. As Certified Zentangle teachers they are the first to bring the art of Zentangle® to the islands. As Alaka'i of Huna International they are ordained ministers. Web of Life International is a special project of Aloha International, a non-profit tax-exempt organization dedicated to the practice and promotion of the Aloha Spirit, through whom tax deductible donations can be made.